Simply a great looking Sweet Jumpsuit. If you are looking for a sharp look, yet a bit different, this style is your answer. 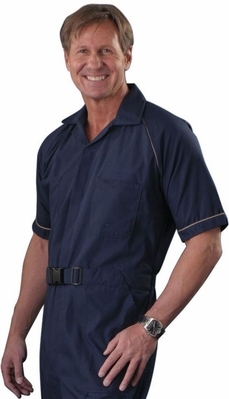 Contrasting color piping trim and non-metallic nylon belt makes this Sweet Jumpsuit a must-have.